While plenty of Submariners have been used as desk divers, we’re willing to bet that no Datejust has ever been used as an actual dive watch. At least not on purpose. Now, the Datejust is an Oyster, which means it’s got some water resistance. The current reference carries a rating of 100 meters or 330 feet, so it could theoretically withstand the pressures of shallow depth diving. The Rolex Submariner 5508 is a beautiful watch. But there’s no rotating bezel with minute markings to time your dive or your decompression stops. There’s no diver’s extension hidden in the clasp to allow the watch to fit over your wetsuit. And the hands-to-dial contrast is not optimized for underwater readability. Then there’s the whole issue of precious metal in some versions. For those reasons alone, the Datejust will never be a dive watch. A Vintage Red Rolex Stainless Submariner 5512. On the other hand, it is perhaps the iconic business watch. If your grandpa was a businessman, odds are he wore a Datejust on his wrist. Yes, others have been thinner and arguably more elegant. But the Datejust has remained relatively unchanged since its introduction in 1945, when it was briefly named the Jubilee Datejust and honored the 40th anniversary of Rolex’s founding. The Submariner, on the other hand, has become the starter business watch for a new generation. 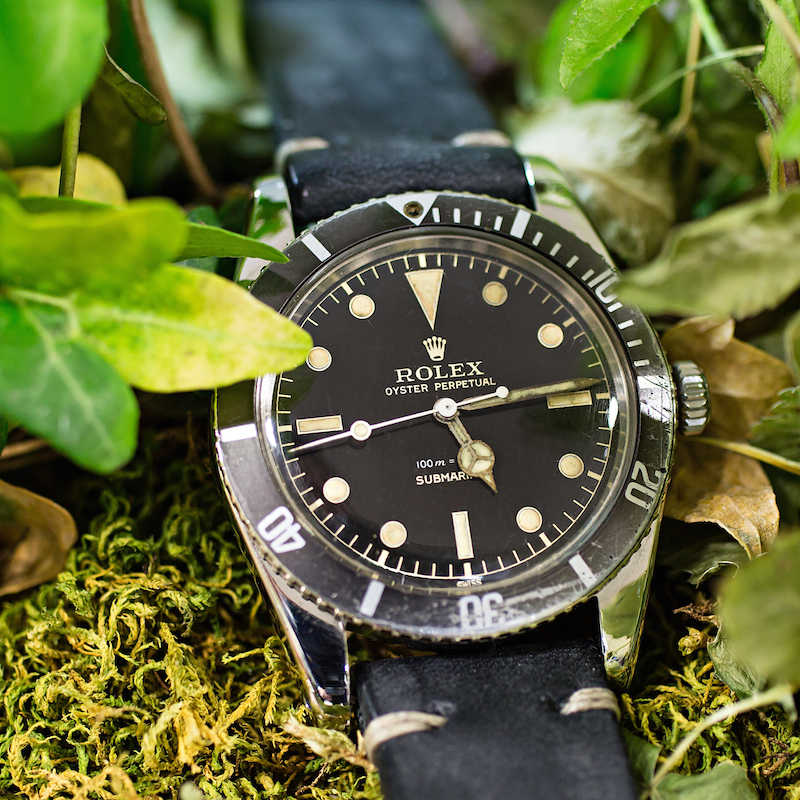 It began life in 1953 and quickly became the quintessential tool watch, even though challengers like the Blancpain Fifty Fathoms and Omega Seamaster 300 fought for pieces of the pie. 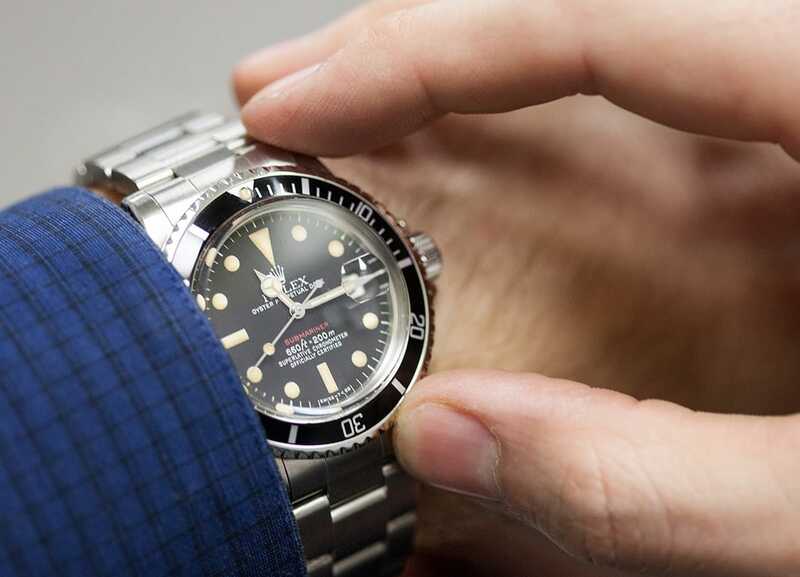 The Rolex Submariner 114060 is a watch that can also be seen in the business world. That heritage secure, over the last couple of decades, the Submariner has evolved into the watch to wear as one prepares to exit the cube farms of Corporate America, and climb to the private office suites. 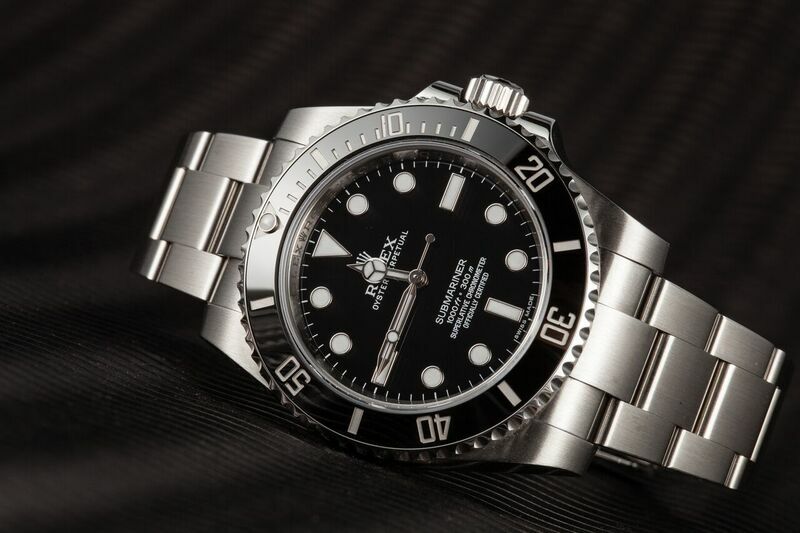 In fact, few Rolex model names roll off the tongue of the general public like “Rolex Submariner” does. The two words are associated with each other as few others in the world of horology. It’s natural that these days, a young business major would spend their first bonus check on a Sub. But given all that, though the births of these two Rolex brothers were separated by eight years, and they were destined for very different activities, they are not so different as you might think. Both carry the Oyster name, indicating they can hold their own against the depths. Both can be found on the Oyster bracelet, although it’s an option on the Datejust. But the real similarity is that they carry the same engine, the calibre 3135. The 3135 is a robust movement, a Superlative Chronometer in fact, well-proven since its introduction. And Rolex recently redefined the Superlative Chronometer designation, which means each watch is running at the same precision of -2/+2 seconds per day. So as you compare and contrast these two watches, you’ll understand they were born in different decades for purposes as different as apples and oranges. But you should also realize that, like fruit, the Submariner and the Datejust are as interesting for their similarities as for their differences.